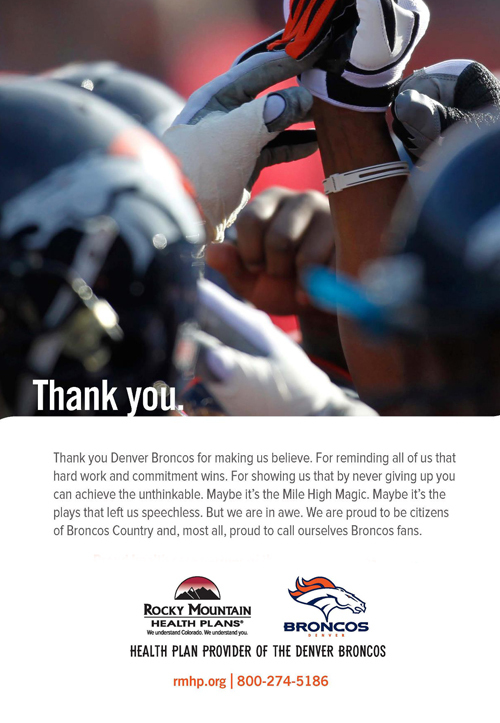 In 2011 Rocky Mountain Health Plans (RMHP) became the health plan provider of the Denver Broncos, as part of this partnership, RMHP advertised in the Broncos game day program. Each season I designed a unique campaign that not only showcased the unique idiosyncrasies of life as a Denver Broncos fan. 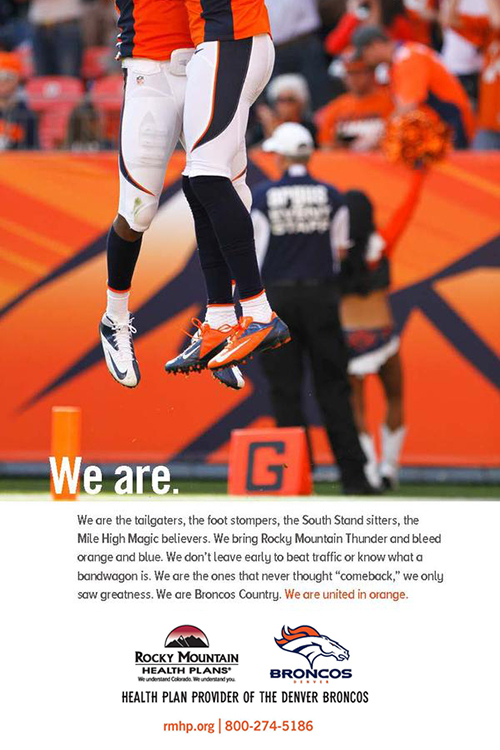 A place where Our Sunday best includes orange and blue, Rocky Mountain Thunder isn’t in the clouds, and where Mile High Magic lives. The ads changed each game, which allowed me the opportunity to adjust the content to target what was going on in at that point in the season — from countless 4th quarter comebacks in 2011 to a future hall of famer revive his career in 2012.  The campaign resulted in an 8.2% increase in calls (tracked through a special phone number) and 3.6% increase in sales. 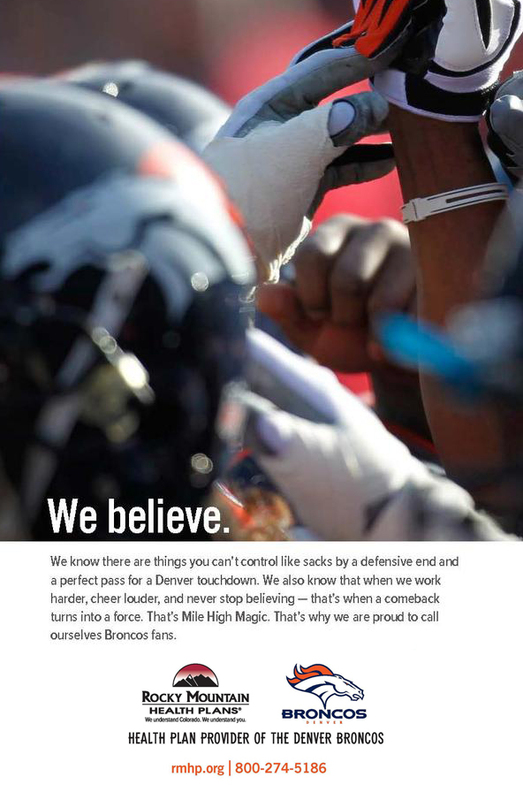 The campaign garnered multiple awards from the Colorado Healthcare Communicators, and is used as a case study for excellence in design, imagery, and content by the Denver Broncos marketing department and NFL.